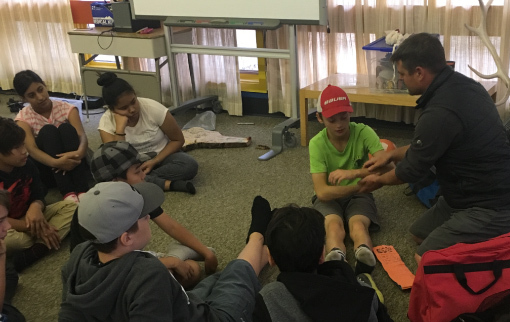 For the class of Banff Elementary School’s Grade 7s, the morning of Tuesday September 12 started a little differently than a usual school day – but this wasn’t your typical day of learning in the classroom. 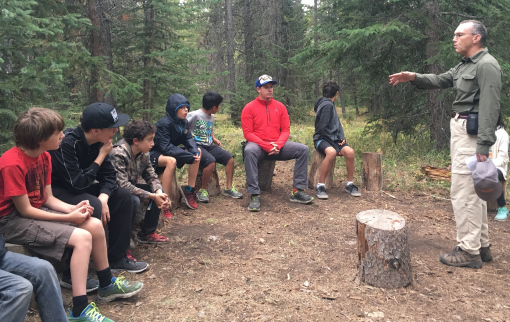 This was Day Two of the Canadian Rockies Public Schools’ enhanced learning initiative; a Leadership Course for students – and instead of the parents, it was teachers in-charge of the morning wake-up call. First on the agenda: a 7:15am team run. 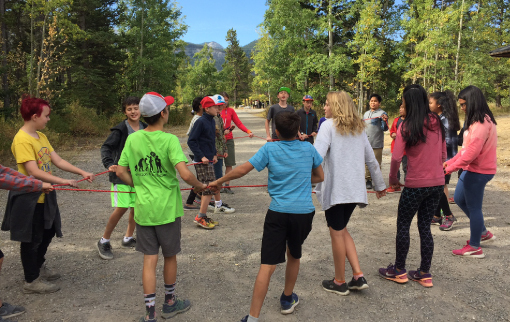 The students, waking from their slumber and stepping out of their shared, cabin accommodation, grouped together to follow their enthusiastic and very encouraging teacher into the crisp Fall air outside the Canadian Rockies Outdoor Learning Centre, in Bow Valley Provincial Park. 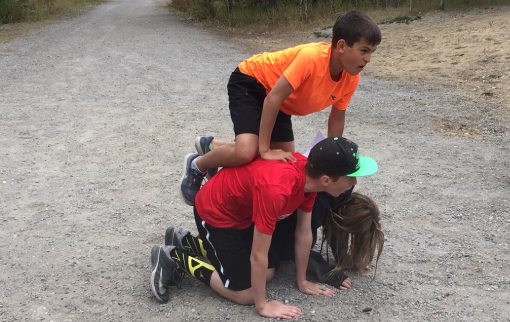 Devised by Banff Elementary School’s Assistant Principal, Natasha Miles, with support from Peter Prescesky, Coordinator, Canadian Rockies Outdoor Learning Centre, the Leadership Course was developed as an educational program with a difference. “In preparation for the 2017-18 school year, we recognized that our Grade 7 students would face an unusual situation this term: instead of migrating across to Banff Community High School as their predecessors had before them, they would remain at Banff Elementary School for another 12 months, as the class leading the school’s two year transition to a Kindergarten to Grade 8 school. We wanted to ensure that this didn’t impact on their personal development and confidence, and that we actually used this opportunity to enhance those things,” Natasha Miles says. Ms. Miles moved ahead to develop the course outline with her colleagues, ensuring that it was a complement to the classroom curriculum and challenged the students to learn in an alternative environment. With that, the chosen location for the Leadership Course was a consideration from the very beginning of the planning stages: this initiative needed to be at a venue that would encourage the students to step outside of their comfort zone of school and home, into a place where they could explore independence, and a ‘grown-up’ environment. 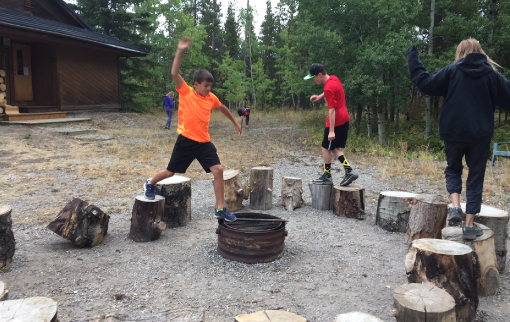 The Canadian Rockies Outdoor Learning Centre was the perfect choice. 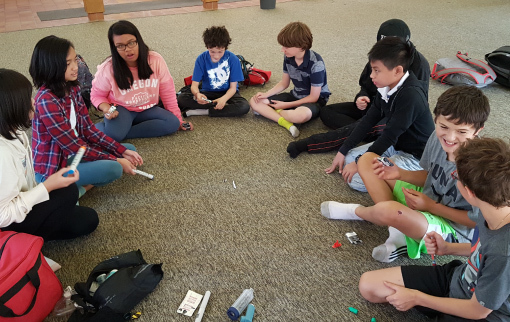 With the class of Grade 7 students arriving at the Centre the morning of September 11, Day One of the Course began with a Centre welcome and orientation, followed by some team-building exercises, lunch and then, the learning activity sessions taking place throughout the afternoon. The first day of the course continued with some problem-solving activities, before the class settled down for dinner and a cup of hot chocolate. Then, it was time to retreat into the cabins with lights-out at 9pm. Jog complete, Day Two began with a hearty breakfast to kick-start the day. 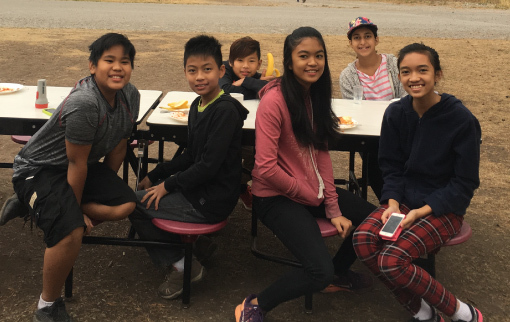 The students gathered – all wide-awake and in high spirits after their morning exercise – in the breakfast room of the Centre to tuck into a feast of fruit, yogurt, cereal and Mexican omelettes. Next, it was taking care of the morning chores – as is expected of any good, responsible, young leader! Ethan, a student of the Leadership Program shares that he’s particularly enjoyed the outdoor time of the program, as it was ‘just like camping’. Now, at 8:30am, the second morning of leadership workshops are in session. 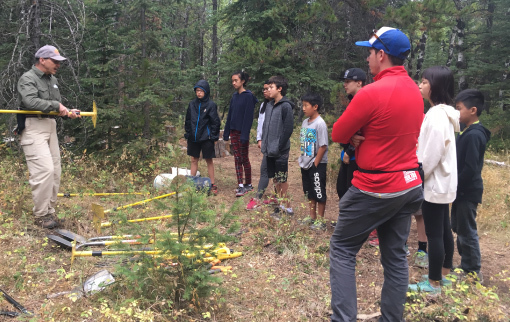 The students are assigned a group workshop to partake in, each headed-up by a teacher or field expert [the students all participated in four major learning sessions over the course of the two-day course; First Aid, trail-building, mindfulness by the lake, and a scavenger hunt challenge]. The First Aid group begin to gather on the floor space of the Centre. Kneeled down on the floor with the students and with some props lying at the side ready to be used for a demo, session leader Pete initiates the workshop with a Q&A on First Aid basics and how to assist a friend or family member if they hurt themselves; what to do while medical assistance is on its way. 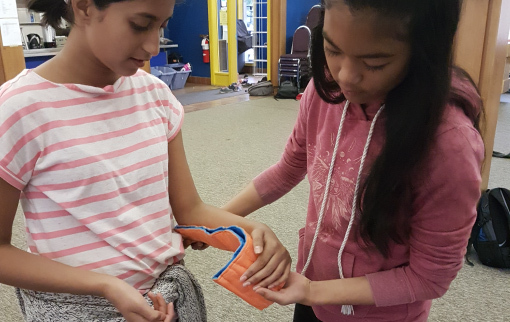 Then it gets practical, with the students taking great enjoyment of pairing off and trying the art of bandage-wrapping and sling-making on their peers. Elsewhere, the students were taking some time to reflect, be still and practice mindfulness – a session led by ‘Right from the Start’ Success Coaches, Kat Weibe and Allyson Vanimpe. Also, teacher Nikki Thomson was heading up an exciting scavenger hunt in and around the grounds. 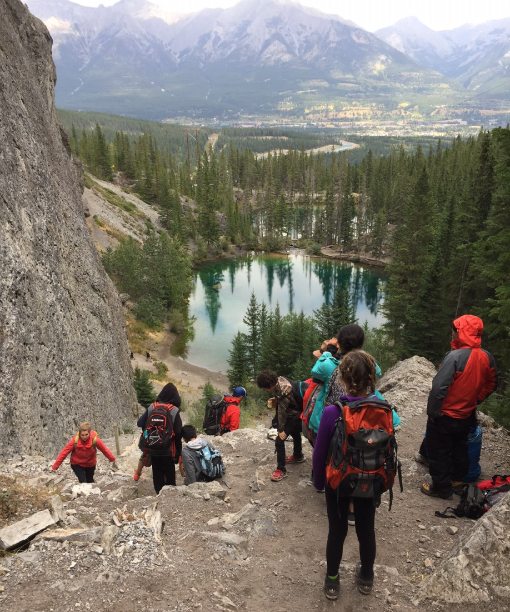 The Leadership Course would then conclude with a team hike to Grassi Lakes and lunch, before returning back to school that afternoon. “We’re really pleased with how the students have responded to the program’s activities, they’ve had a great time and worked together through the sessions. It’s been wonderful to see them react, respond and connect to the various challenges and experiences – even staying overnight with their classmates away from home, it’s all part of learning in life becoming more independent,” says Ms. Miles.